ENVELOPE : Box Type Envelope Made from White Color 250 gsm Shimmery Finish Paper. 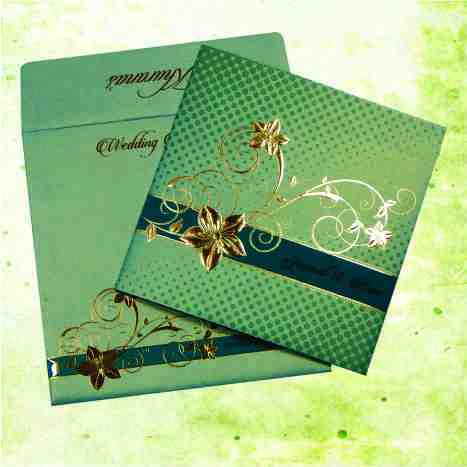 MAIN CARD : White Color 250 gsm Shimmery Finish Paper With Gold Color Printing. In Middle Nicely Pasted the Red color Sticker with Laser Cut Motif.